We are expecting this year to once again be a great year at Washington MS. We will have a few new faces on staff here this school year. We are fortunate to have Teresa Emmert joining our school this year teaching 8th grade Science & 7th grade STEM. She has been here a lot of this summer giving her classroom a “calming” vibe that I think students will appreciate. Taylor Cashmore will be our boys PE/Health teacher this year. Mr. Cashmore recently graduated from Montana State University and is originally from Dillon, MT. 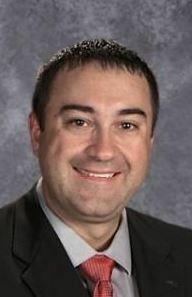 I look forward to his enthusiasm and energy making a positive contribution to our school/community. We will also have a new 6th grade Math & 8th grade STEM teacher who has yet to be hired. Those interviews are taking place August 7-8th and we are excited about the possible candidates. Our main goals at Washington Middle School are to ensure that every student is provided the highest quality of education possible in a safe and supportive learning environment while making the learning as engaging and enjoyable as possible. We know like every year that this will be a year filled with many new experiences and opportunities for students and staff alike. For our 6th graders, this year will mark a change in regards to daily expectations of student work. I encourage you and your student to be thorough in reading our “Power of ICU” expectations in the student handbook to familiarize yourself with our approach. For our 7th & 8th graders, this year will have exciting changes as well (stay tuned for more information on this the first day of school). We encourage every student to become as involved as possible during their time in middle school. Research shows that well rounded students that are involved in clubs/activities are significantly more successful academically and have a much more positive view of their school experience. Regardless of how successful your student is, we just ask that they put their best effort forward and try to enjoy as many things as possible during their time here. For any of you 6th, 7th or 8th graders who are considering participating in an extracurricular sporting activity this fall, please remember that you must have a physical prior to being able to participate. The first day of practice for football will be August 20th with August 23rd for volleyball & cross country. Physical forms can be picked up here at Washington or from the district office. The physical exams can be scheduled through Glendive Medical Center or your medical provider. For coach contact information, please contact our secretary, Michelle at 377-2356. There will again be a $35 activity fee this year to help offset the high costs involved in offering extracurricular activities. This fee is a one-time per year fee and can be paid at the middle school office. Any students who are having financial hardships can apply to the principal for a waiver. The $35 fee will also gain you entrance to all WMS sporting events over the course of the year (excluding dances). If you child regularly attends DCHS sporting events we also have the option of a $50 activity fee (instead of the $35) that will allow the student to participate in all extracurricular activities and also will get the student into all WMS/DCHS sporting events for the 2018-19 school year. This student handbook has been developed to serve as a guideline of policies and procedures for all students. It is essential that you and your child take the time to read and become familiar with it. This handbook will also outline our guidelines of acceptable behavior along with school policies and procedures. You will find three pages at the end of our handbook that need to be signed off by parent/guardians/students and returned to the middle school office to start the year. The first page is our Internet permissions form. The 2nd page is the sign off stating you have read and understand the MS student handbook which can be viewed on our Facebook page, our website: http://www.washingtonms.net/for-parents.html, or a hard copy can be picked up in the middle school office. The 3rd and last page is the student medical release/participation form that we need filled out in order for students to participate in any extracurricular activities or attend any field trips. Lastly, I would like to state again how blessed I feel to have the opportunity to work for Glendive Public Schools and work with so many great students and staff. Glendive really is a special place that deserves the best from all of us. Thank you for your support of the DEMONS!!! Should you need any assistance or have questions, please feel free to contact me at 377-2356.